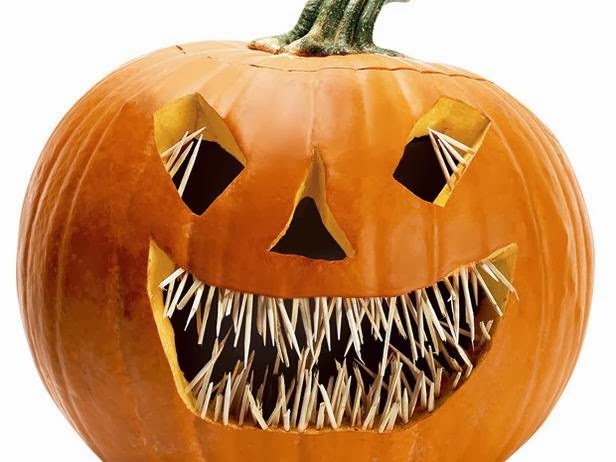 If you are looking for something a little extra to add to your pumpkin carving this year, I love this idea for jagged toothpick teethed jack-o-lantern that I saw over at Food Network. It was created by Mary Alice from Charm City Cakes. Easy to do and inexpensive. 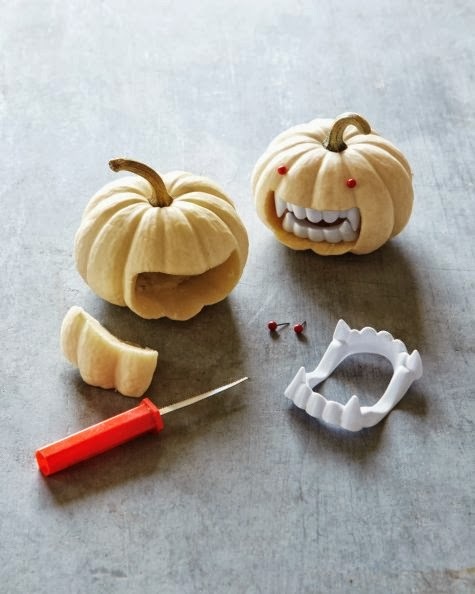 I also love these fanged jack-o-lanterns, or as she calls them, Drac-o'-lanterns, from Martha Stewart. 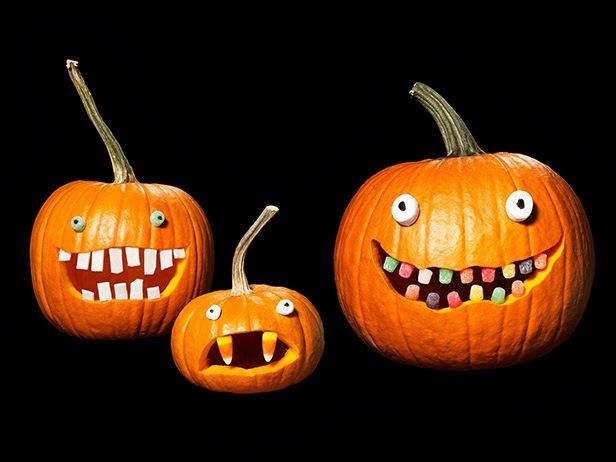 Food Network also has an idea for using things like candy corn, gum, and gum drops to make their candy pumpkin teeth. Now I am trying to think of other things to use as teeth! We did the toothpick teeth last year and it looked really cool!